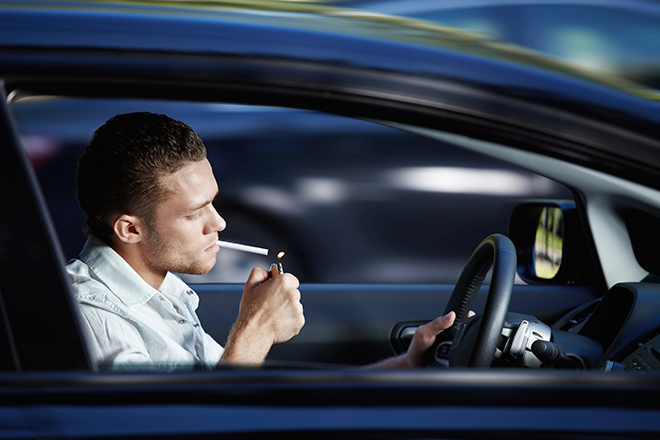 Do you smoke while driving? October 1st will see a new law come into effect across England and Wales banning smoking in vehicles containing children under the age of 18. It doesn’t apply to lone drivers or those in a convertible car with the top down and anyone caught in the act could face a £50 fine. Despite the media hype since the beginning of the year about the new law, recent research by the RAC found that only half of those questioned knew it was being introduced this week and 90% don’t believe the police will enforce it due to lack of man-power. The ban was passed in the Commons following 342 MPs voting in favour of legislation with just 74 voting against. The move aims to protect young people from the negative effects of passive smoking. According to the British Lung Foundation, over 430,000 children are exposed to second-hand smoke in cars each week increasing the risk of asthma, meningitis and cot death. As quoted in Motoring Research, Simon Williams, RAC spokesman said: “It is worrying that nine in 10 motorists have concerns about the extent to which the new law is likely to be enforced. This is perhaps well-founded as traffic police officer numbers have fallen by nearly a quarter (23%) between 2010 and 2014 across forces in England and Wales, so it is hard to see how people flouting the law are going to be caught. Do you smoke in the car with your children in? What are your thoughts on the ban? Join us at @Ogarras to discuss further….